Are you tired of being at the mercy of banks when you move money? You may live in Thailand, but no doubt you want to send funds for bills, expenses, and your family all over the world. So, why does it feel like your money is shackled to your bank account? And why is the cost of releasing it so high? In today’s society where we can live and work practically anywhere, moving money should be frictionless. But so often it isn’t. High exchange rates, exorbitant bank/transaction fees, and hidden charges all work to cripple our hard-accumulated funds the minute we even consider sending money abroad. Sending money out of Thailand is both challenging and expensive—everyone’s least favorite combination of factors. Repeat an exchange transaction more than once, and you may as well gift wrap your money for the bank with a bow. We know you’re not alone with these frustrations too. Members of expat forums for cities all over Thailand see the oft-repeated question time and again, “What’s the best way to send my money abroad?” Because to date, there hasn’t been a cost-effective, transparent solution available. SWIFT transactions—which are anything but—are expensive, just like Western Union. Thai Bank transfers for foreigners involve tedious forms and multiple document verification followed by a three-day wait just to attach an international account to your personal one. That’s before you then suffer the high exchange rates and processing fees of up to, and beyond, 1300 THB. Attaching a business account—don’t bother trying. There is, however, a new solution. At the top of Soi 8 on Sukhumvit Road is the headquarters for DeeMoney. With just one form of ID, you can register to become a member in a matter of moments. DeeMoney is the ONLY non-bank in Thailand to hold the required special international money transfer and money exchange licenses, issued by the Bank of Thailand, for moving THB abroad. We cater to 5000+ customers already. Launched in July 2018, DeeMoney is partnered with Moneygram for global distribution. We also leverage direct partnerships for countries outside of the Moneygram network to ensure customers can send money to 16 countries as swiftly and easily as possible. For these 16 countries, we charge a single FLAT fee of 150 baht for ALL transfer amounts. Which means you can send up to 800,000 THB and still only pay 150 THB for the opportunity. Compare this with other companies and banks mentioned above which stagger rates the more you wish to send, and the savings become astronomical. In addition to ease of registration, there’s also a DeeMoney app available on Android and from the App Store. The app works with KPlus linking quickly and easily to your Thai bank account or you have the option to pay for your transfer through a QR Code too. Now you can send money abroad anytime, anywhere all from your phone. There’s no need to log on to a laptop to make an international bank transfer—consider that a thing of the past. The 150THB FLAT rate is for transfers to Australia, Bangladesh, Cambodia, India, Indonesia, Malaysia, Myanmar, Nepal, New Zealand, Pakistan, Philippines, Singapore, Sri Lanka, the UK, the US, and Vietnam. No hidden charges. No high exchange rates. No additional transaction fees. Everything is as clear as Dee. DeeMoney, what are you waiting for? The Tourism Authority of Thailand (TAT) has reported that Ctrip.com, China’s largest and most influential online travel agent, has ranked Thailand the number one global destination among Chinese tourists during this year’s National Day vacation, or the Chinese Golden Week 2018. Thailand comes out on top of Japan, Hong Kong SAR, Vietnam, Singapore, Taiwan, and Korea, among more than 1,000 destinations in nearly 100 countries. Favorite Thai destinations among Chinese tourists include Bangkok, Pattaya, Phuket, and Chiang Mai. Mr. Yuthasak Supasorn, TAT Governor, said China is Thailand’s largest tourist market, and this latest Ctrip’s study shows that the kingdom continues to win the hearts of Chinese tourists with a wide range of attractions, ranging from local experiences, abundant natural beauty and a remarkable variety of activities, including soft adventure, health and wellness, weddings and honeymoons, and sports tourism. This year, TAT is maintaining its target of 10.5-11 million arrivals from China, up from last year’s 9.8 million. Already this year, from January to August, Thailand has welcomed 7.7 million Chinese tourists, generating 423 billion baht. These leaders will also take part in the two-day ASEAN-India Commemorative Summit in the national capital beginning Thursday. In a first, leaders of 10 countries from the Association of Southeast Asian Nations (ASEAN) member-states will be present as chief guests during the Republic Day celebrations this year. The leaders participating in the Republic Day parade are President Joko Widodo of Indonesia, Prime Minister Lee Hsien Loong of Singapore, Prime Minister Nguyen Xuan Phuc of Vietnam, Prime Minister Najib Razak of Malaysia, General Prayuth Chan-o-cha of Thailand, Aung San Suu Kyi of Myanmar, Philippines president Rodrigo Duterte, the Sultan of Brunei Haji Hassanal Bolkiah, Prime Minister Thongloun Sisoulith of Laos and Hun Sen, the Prime Minister of Cambodia. These leaders will also take part in the two-day ASEAN-India Commemorative Summit in the national capital beginning Thursday. The event will mark 25 years of India’s ties with the southeast Asian bloc. Prayut Chan-o-cha is a retired Royal Thai Army officer who is the head of the National Council for Peace and Order (NCPO), a military junta, and concurrently serves as the Prime Minister of Thailand. The council, which he appointed himself along with other junta members, has the power to name the prime minister and control prime ministerial position. Prayut is a former Commander in Chief of the Royal Thai Army, the post he held from October 2010 to October 2014. After his appointment as army chief, Prayut was characterised as a strong royalist and an opponent of former prime minister Thaksin Shinawatra. He last visited India in June 2016. PM Modi travelled to Thailand in November 2016. Both countries had a trade relation worth $ 7.72 billion in 2016. Hun Sen has been the prime minister of Cambodia since 1985, making him the world’s longest-serving prime minister, the longest serving head of government of Cambodia, and one of the longest serving leaders in the world. He is known for Cambodia’s post Khmer Rouge economic turnaround, but criticised for human rights record. Hun Sen will lead a delegation that will meet key Indian leaders to discuss bilateral ties and strengthen the relationship between the two countries during his bilateral state visit on January 27. His last visit to India came in 2012. India share strong cultural ties with Combodia. In 2016, both the countries had a trade relation worth $ 153.13 million. India is helping in the renovation of the Angkor Wat temple. Thongloun Sisoulith has been the prime minister of Lao PDR since 2016. Previously, Sisoulith was Deputy Prime Minister from 2001 to 2016, as well as minister of foreign affairs from 2006 to 2016. He is a politburo member of the Lao People’s Revolutionary Party. 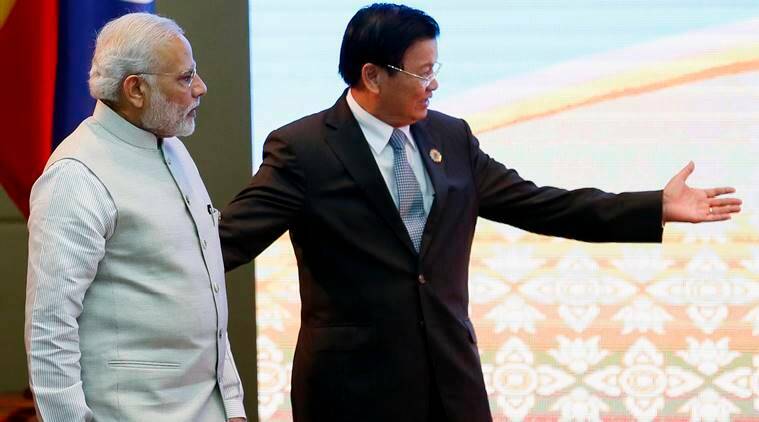 Sisoulith met PM Modi in 2016 when Lao PDR hosted the ASEAN and East Asia Summits. India had a trade relation worth $ 233.10 million in 2016-17. India holds regular defence training programmes; has extended line of credit for power projects. 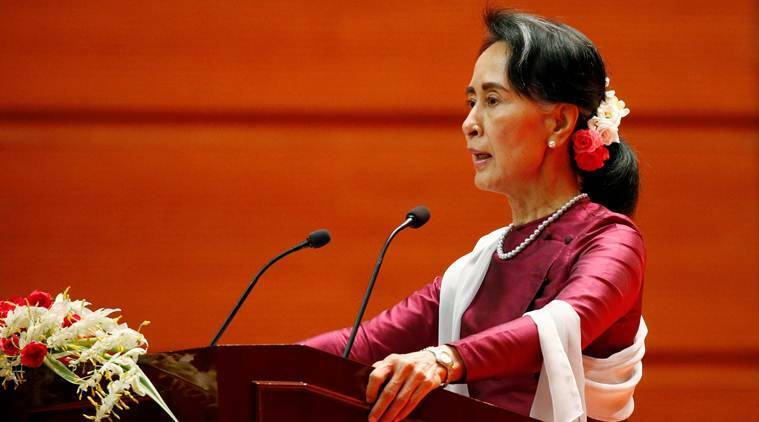 Aung San Suu Kyi is the leader of the National League for Democracy and the first and incumbent State Counsellor, a position akin to a Prime Minister in Myanmar. She is also the first woman to serve as Minister for foreign affairs, for the President’s Office, for Electric Power and Energy, and for Education in the country. From 2012 to 2016, she was an MP for Kawhmu Township to the House of Representatives. Suu Kyi holds a special relationship with India. She last visited India in October 2016 before PM Modi’s visit to Myanmar in September 2017. India has been treading cautiously on global criticism for her silence on Rohingya crisis. India’s trade relation with Myanmar in 2016-17 was worth $ 2.17 billion. 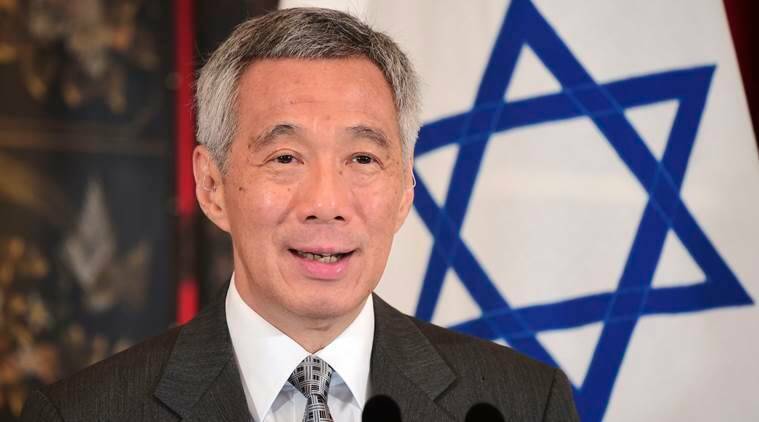 Lee Hsien Loong is serving as the prime minister of Singapore since 2004. He took over the leadership of the People’s Action Party (PAP) when former Prime Minister Goh Chok Tong stepped down from the position to become the new senior minister. Lee then led his party to victory in the 2006, 2011 and 2015 general elections. He began his current term on 15 January 2016 following the opening of Singapore’s 13th Parliament. Lee is the eldest son of Singapore’s first Prime Minister, Lee Kuan Yew. He is the current chair of ASEAN. He last visited India in 2017. It is very likely that PM Modi will travel twice to Singapore in 2018. India share a strong relationship with Singapore as it is the second largest trading partner in ASEAN. The trade relation between the two countries was worth $ 16.7 billion in 2016-17. 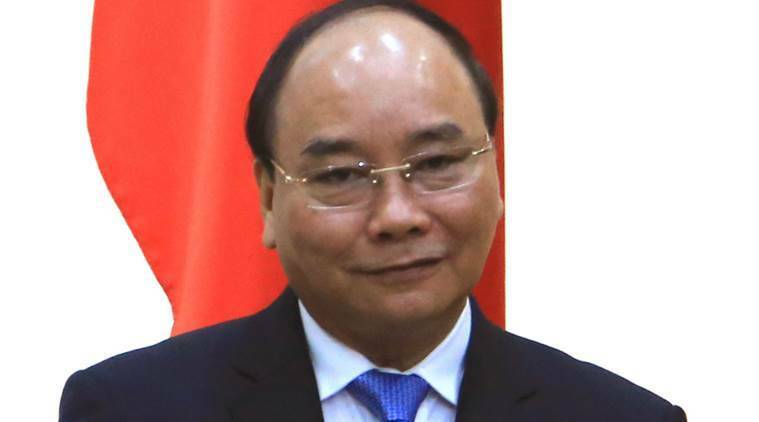 Nguyen Xuan Phuc is the seventh prime minister of the Socialist Republic of Vietnam. He is the sixth ranked member of the 12th Politburo. As a tradition in Vietnamese politics, Phúc is also a full member of the National Assembly, serving at its 11th, 12th, 13th and 14th terms. He was elected to the post of the National Assembly, nominated on April 8, 2016 by his predecessor, Nguyen Tan Dung, retired from his office. Phuc became a member of the Communist Party in Vietnam on November 12, 1983. This is Phuc’s first visit to India as prime minister. PM Modi last went to Vietnam in 2016. Vietnam has stood up to Chinese assertion in the region and is a key ally of India. The trade relations between the two countries during April-November of fiscal year 2016-17 was $ 6.24 billion. India is one of Vietnam’s top 10 trading partners. Hassanal Bolkiah, GCB GCMG (full name: Sultan Haji Hassanal Bolkiah Mu’izzaddin Waddaulah ibni Al-Marhum Sultan Haji Omar Ali Saifuddien Sa’adul Khairi Waddien Sultan and Yang Di-Pertuan of Brunei Darussalam) is the 29th and current Sultan and Yang Di-Pertuan of Brunei. The eldest son of Sultan Omar Ali Saifuddien III and Raja Isteri (Queen) Pengiran Anak Damit, he succeeded to the throne as the Sultan of Brunei, following the abdication of his father on October 5, 1967. He is among the richest persons in the world and has been the King since 1967. He last visited India in May 2008. India shared a bilateral trade worth $ 495.54 million in 2016. Joko Widodo, also known as Jokowi, is the seventh President of Indonesia and has been in office since 2014. Previously, he served as the Mayor of Surakarta from 2005 to 2012 and Governor of Jakarta from 2012 to 2014. He is the first Indonesian president without a high-ranking political or military background. He last visited India in December 2016. 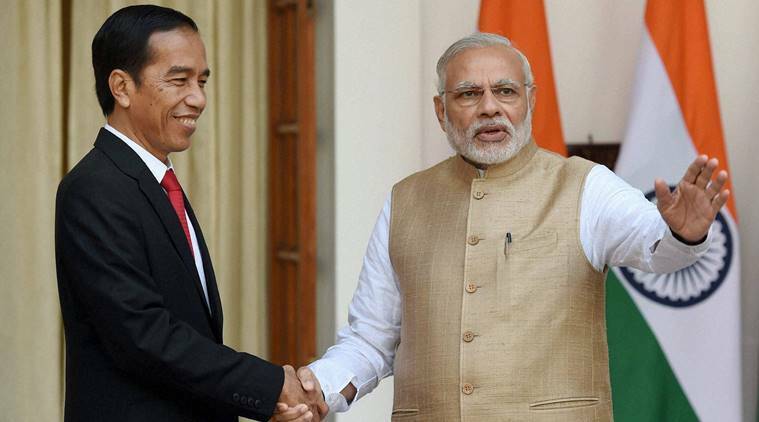 It is likely that PM Modi will travel to Indonesia this year. Indonesia is the largest trading partner of India in ASEAN. Both countries had a trade of worth $ 17 billion in 2016-17. India is the second largest buyer of coal and crude palm oil from Indonesia. Dato’ Sri Haji Mohammad Najib bin Tun Haji Abdul Razak is the sixth Prime Minister of Malaysia. He succeeded Dato’ Seri Abdullah Ahmad Badawi who did not seek re-election as Umno President. 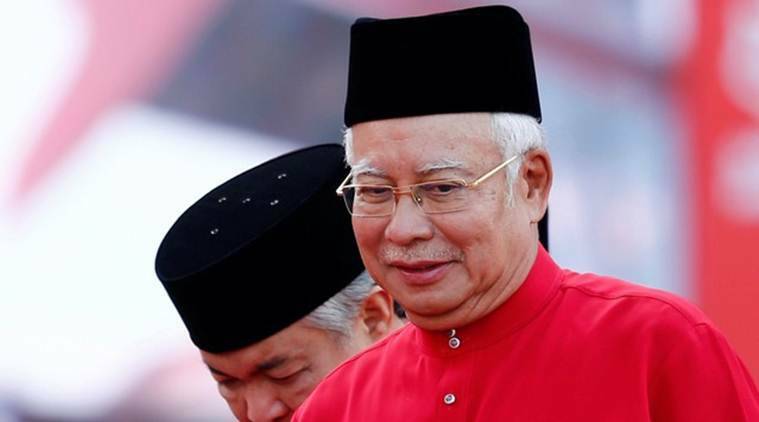 He is the President of the United Malays National Organisation, the leading party in Malaysia’s ruling Barisan Nasional coalition.Najib is the eldest son of Abdul Razak Hussein, Malaysia’s second Prime Minister, and the nephew of Hussein Onn, Malaysia’s third Prime Minister. He last visited India in March-April 2017. 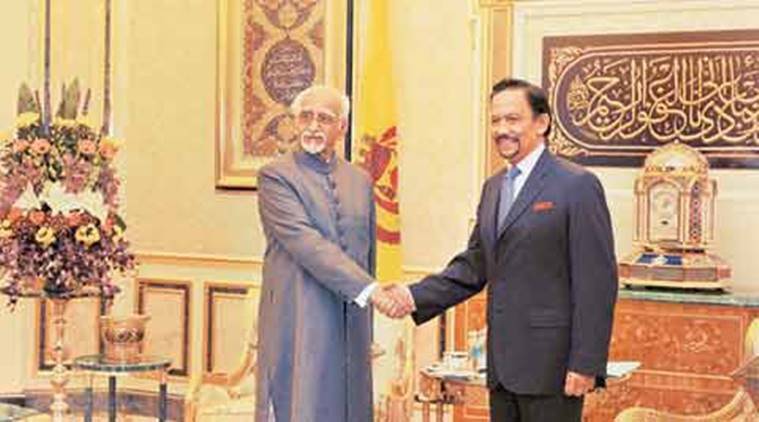 PM Modi last paid a visit to Malaysia in November 2015 for bilateral, ASEAN and East Asia Summits. Both countries had a bilateral trade worth $ 11.72 billion in 2016. Rodrigo “Rody” Roa Duterte, also known as Digong, is a Filipino lawyer and politician who is the 16th President of the Philippines. He is the first Mindanaoan to hold the office. At 71 years, Duterte is the oldest person to assume the Philippine presidency; the record was previously held by Sergio Osmena at the age of 65. Duterte became Davao City mayor in 1988 and was re-elected six times after forging a reputation for being tough on crime. 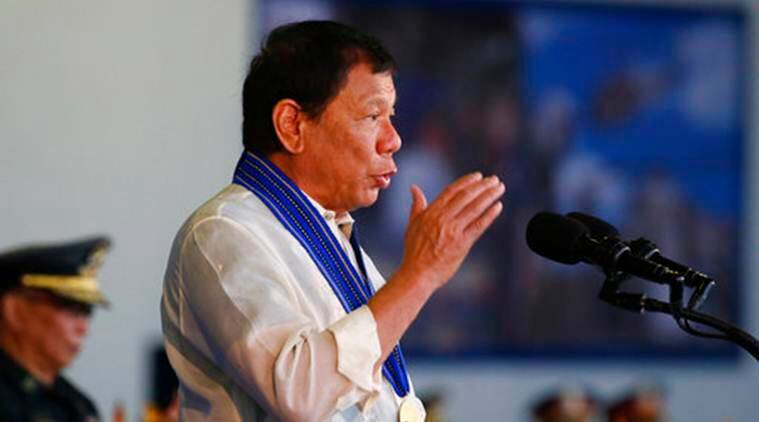 He earned a decisive victory in his country’s 2016 presidential election, but soon drew criticism for his support of extrajudicial killings and threats to cut diplomatic ties with the US. He is known for his controversial remarks and style. PM Modi met him in Manila in November 2017 at ASEAN and East Asia Summits. He is visiting India for first time. Both the countries had a bilateral trade worth $ 1.98 billion in 2016-17.